Ty LIBEARTY Beanie Buddy. Mint condition. 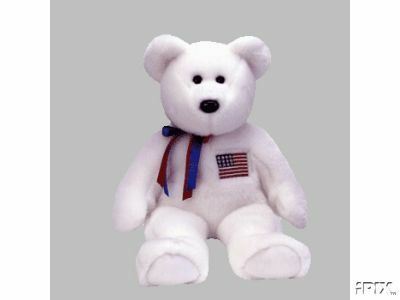 Patriotic USA Flag Bear. Soft & Cuddly. Items Similar To "New LIBEARTY Ty Beanie BUDDY Patriotic USA Bear"